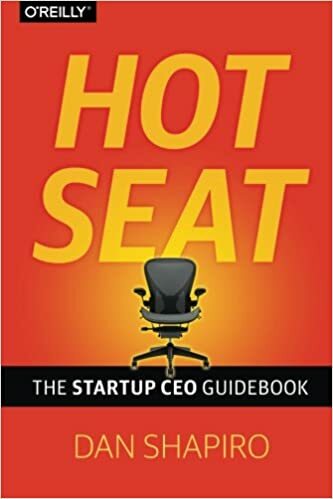 In my new book “Hot Seat: The Startup CEO Guidebook“, I got to retell some amazing stories from CEOs of companies large and small. One of them was from Elissa Shevinsky, CEO and founder of Glimpse. There’s a few details that the story left out, though, and I wanted to touch on those here. I deeply respect Elissa. She went through some amazing ups and downs in her startup journey. In fact, they haven’t ended yet – Elissa’s since parted ways with her Glimpse cofounder discussed in the story and founded a new startup, JeKuDo (not to mention edited a book, Lean Out). And Elissa still speaks well of her cofounder from Glimpse and, even as there was all sorts of turmoil resulting from his actions, refused to pin the full blame on him, as would be easy to do. It was one of the hardest stories for me to tell, because I had to reconcile some fundamental tensions. Elissa had a lot of respect for her cofounder based on firsthand interaction, but I, based on a small amount of second hand information, did not. This was Elissa’s story, but I am the one telling it. I needed to accurately reflect what she told me, but I needed to be sure I believed what I was writing. I think I came out with something that’s true to both Elissa and me, as well as pulling the curtains from around a story which ripped through tech headlines. The whole story caused some consternation for my publishers, so at the last minute, I agreed to remove the actual text of the tweets that triggered the climactic reckoning in the story. We agreed that I’d provide those online for those who wanted to understand the context of the story. If your curious, you can read a sampling at this article that preceded the events of the story, and this one that followed it.